Beyond this core team, we work with a larger network of biomimics locally and globally. Claire is the founding Director of BiomimicrySA and a co-founder of the Biomimicry for Africa Foundation. As a Certified Biomimicry Professional, Claire spends her time exploring nature’s genius in diverse ecosystems and shares this new way of viewing and valuing nature through biomimicry expeditions and coaching– teaching & training professionals, students and scholars. She also dives deeper into research for companies and organisations - translating nature’s innovation and sustainability principles for the design of new products, processes & systems. Claire has a MSc Chem-Engineering in Industrial Ecology and is both a graduate of and has been a lead trainer for the Biomimicry Professional Certificate Program offered by Biomimicry3.8. She is the Founder and Director of BiomimicrySA. Claire was selected in the Mail & Guardian's 200 young South Africans in 2009, 2010 & 2011 and was a finalist in the Most Influential Women in Business & Government awards in 2012. Justin has supported the biomimicrySA network since 2010. He has also recently provided support to Biomimicry3.8. His skills are in networking, fundraising, connecting and supporting the people who make biomimicry happen in South Africa. Over the past 16 years Justin has lived and worked in the UK, Europe, Asia, India, North America and South Africa. Justin has consulted on the development and licensing of brands for clients in the conservation, health & wellness, fashion, FMCG, personal care, and publishing fields. In 2006 Justin started Greenhouse in order to provide research, capacity building, stakeholder connectivity, strategic thinking and communication strategy for social entrepreneurs, NGOs', Foundations, Government Depts., aspirant ethical brands, eco-labels, CSI Projects, celebrities and artists. Justin founded the FLOW (For Love Of Water) initiative in South Africa linking Government, Corporate, Media and Civil Society through Design & Innovation in order to create lasting behaviour change. 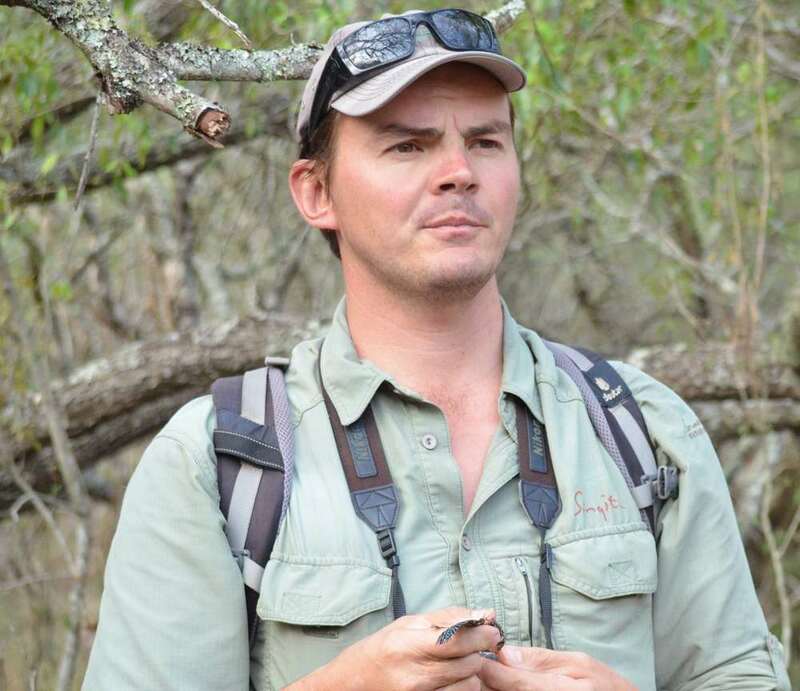 Specialist biomimicry Nature Guide, Rob, has lived in the wilderness areas of Africa for over 15 years and has a special skill in sharing his deep experience of the natural world. He has worked as a private guide, consultant, lodge manager and camp owner in the wilds of Southern & East Africa. Rob has a fascination with all things living, wild and woolly and is truly inspired by the genius of nature, a subject about which he regularly consults to big organisations, presents on and facilitates specialist safari expeditions to living laboratories around Africa & the rest of the world. In addition to providing specialist biomimicry guiding and biomimicy training, Rob has worked on many biomimicry projects in South Africa - providing key research, consultation and contributions to project scoping and ideation. His deep understanding and experience of nature’s genius, coupled with biomimicry as a translation tool, is a powerful combination for any individual or organisation learning or applying biomimicry. Gamelihle, a Certified Biomimicry Professional, fuses his training in civil engineering (BSc Eng Honours), business (MBA) and biomimicry (CBP) towards creation of a sustainable world; where there is enough for all forever. A visual story teller and rapid ideator, his diverse skill set enables him to be an Engineer at the Biomimicry Design Table. He integrates Biology into Design through abstracting strategies from nature to create solutions for human challenges. 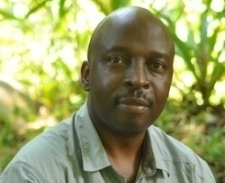 Gamelihle is a co-founder and Director of the Biomimicry for Africa Foundation. He co-developed the Biominga Innovation Model nature's evolutionary strategies tested over 3.8 billion years. Gamelihle’s professional experience spans over 24 years in over 13 countries working in various capacities; liaising with Governments, Infrastructure Authorities, Employers’ Organizations, Unions, Donors, United Nations Agencies, Universities, Consultants, Contractors and Communities on the policy, financing, feasibility, research, design, training and implementation of infrastructure and environmental projects in both rural and urban environments. Sam is a specialist biomimicry nature guide, filmmaker, and design thinker. His passion stems from his interest to explore and have deep experiences in the natural world. He strongly believes that experiencing the world around you, is the fastest way to better understand your place within it. His interest in Sustainability and Ecology led him to do a postgraduate diploma in Sustainable Development, and a masters in Ecological Design Thinking from Schumacher College. During this time, he focused on learning in more depth, an ecological theory such as Biomimicry, Systems thinking and Deep Ecology. Rewilding is his deep interest and has since started a company called Rewild, offering film and storytelling - helping other companies showcase how they are looking to meet the triple top line of PEOPLE/PLANET/PROFIT. Through BiomimicrySA, Sam hopes to immerse groups of people from around the world, in ecosystems such as the Kruger Park, to Rewild and reconnect them to the genius of nature. Jess is a Communication Designer with a passion for all things nature-related. This has inspired her work in the field of biomimicry; which combines her love of biology, design and research (and, secretly, engineering). Jess has worked with Claire for over 5 years on biomimicry-inspired projects and together they are currently creating new biomimicry learning materials. Jess is coupling her experience of professional graphic design with her recent return to studies to focus on experiential learning and developing materials that will make the world of biomimicry more accessible to teachers and students. The practical outcome of her dissertation was the designing of a Biomimicry 101 platform for educators, which aims to assist teachers in understanding biomimicry and integrating it into their curricula.